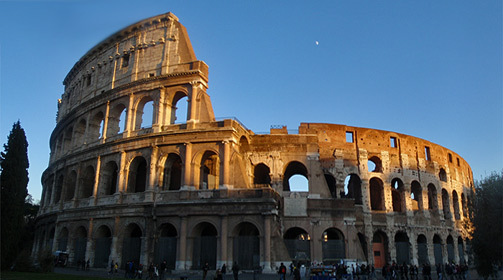 As of today, 1st of January 2011, a new tourist tax came into effect in Rome. According to officials, “the tax is expected to raise much-needed revenue for the city, whose palaces, churches and monuments are in urgent need of restoration.” From today people staying in a hotel in Rome will have this tax added to their bills. “This comes after the highly debated nightly hotel tax was reported after Prime Minister’s Berlusconi’s government planned to slash €200 million euros from its annual contribution to the city of Rome. Therefore Roman officials had proposed a hotel tax of up to €10 euros per person, per night. The tax amount would be based on the number of stars assigned to a hotel by the Italian government. Many hoteliers were up in arms and urging the city to find other revenue sources. This entry was posted on January 1, 2011 at 9:51 am	and is filed under Hotels, Rome. Tagged: Colosseum, hotel, Italy, Rome. You can follow any responses to this entry through the RSS 2.0 feed. You can leave a response, or trackback from your own site.